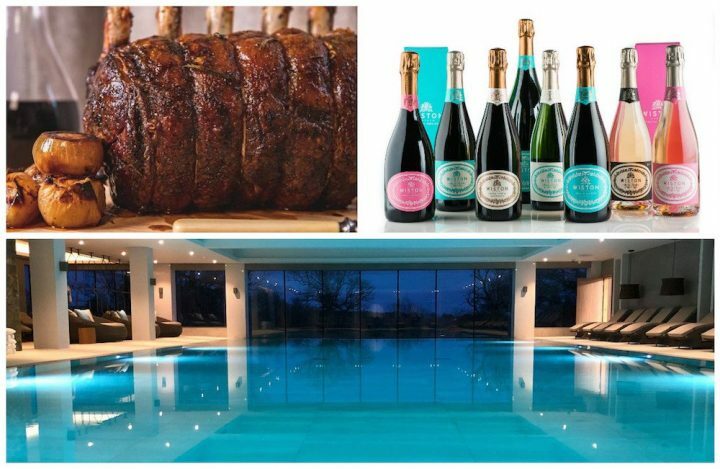 When the weather’s playing ball and you fancy a drink or alfresco lunch catching some rays and keeping kids and dogs happy where do you go? Here’s my pick of pubs that win on outdoors space. I reviewed this pub that has its own organic beef and lamb farm last February when it was cold and dark outside. 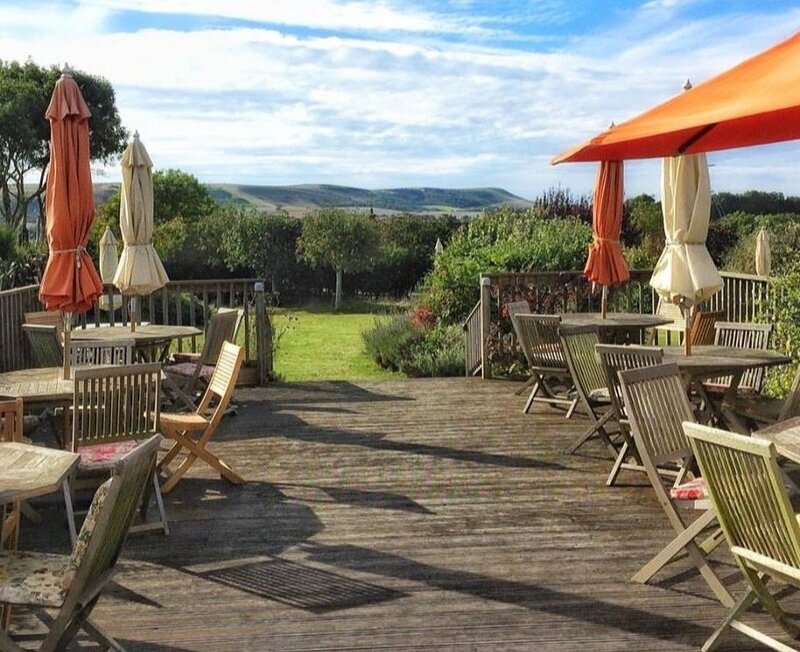 In summer months though it has the added bonus of a raised decking surrounded by a wide garden with picnic tables and parasols, overlooked on all sides by the South Downs. There are heat lamps on the terrace for cooler evenings. The Wilmington Giant is nearby and there are plenty of walking opportunities. Look out to0 for live music events. 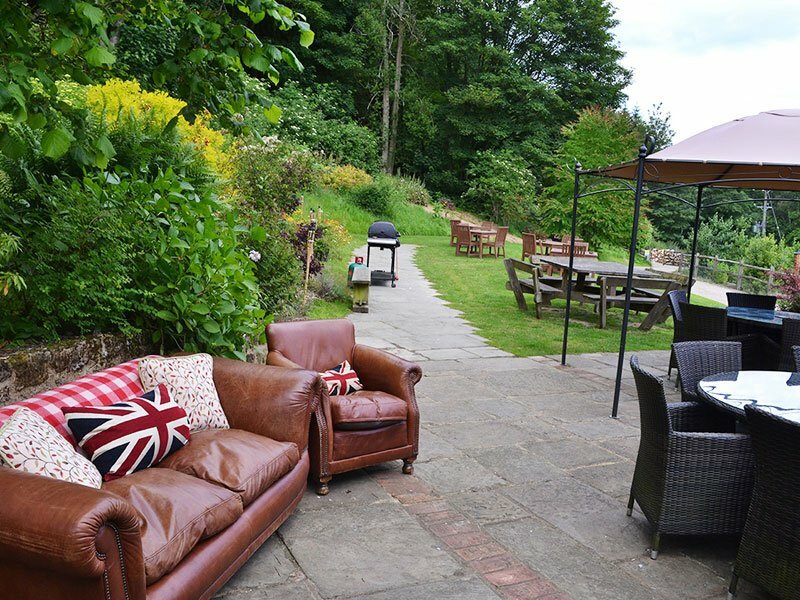 One of our 2016 Muddy Stilettos Awards finalists for Best Destination Pub, The Griffin Inn has a garden so big it’s nicknamed the Serengeti. They may not promise roaming wildebeest but the two acres are backed by a fabulous view of the South Downs and National Trust property Sheffield Park. The outdoor bar ‘The Sheffield’ is open Fri afternoons and evenings over the summer. Alfresco dining is catered for with a built in barbecue and wood oven and more formal fare is available inside. There’s an award winning wine list too with 20 offered by the glass. Why not make a weekend of it? The Griffin Inn has 13 smart-looking bedrooms to flop out in, some boasting that great view. Pretty much on the doorstep of Goodwood’s race tracks but tucked in the hamlet of Charlton, the garden of this historic pub looks right onto a field of sheep and the South Downs behind. There are a couple of private nooks shielded with hedges it would be great to bag for a private soiree. Indoors it’s all flagstones, beams and low ceilings. King William III was a regular visitor when it was a hunting spot, the Women’s Institute was founded here back in 1915 and Doctor Who (in Tom Baker incarnation) stopped in in Terror of the Zygons. Hearty fare includes a range of roasts on Sundays. If the garden itself is busy there are long log tables in the courtyard at the front. You can also stay over. 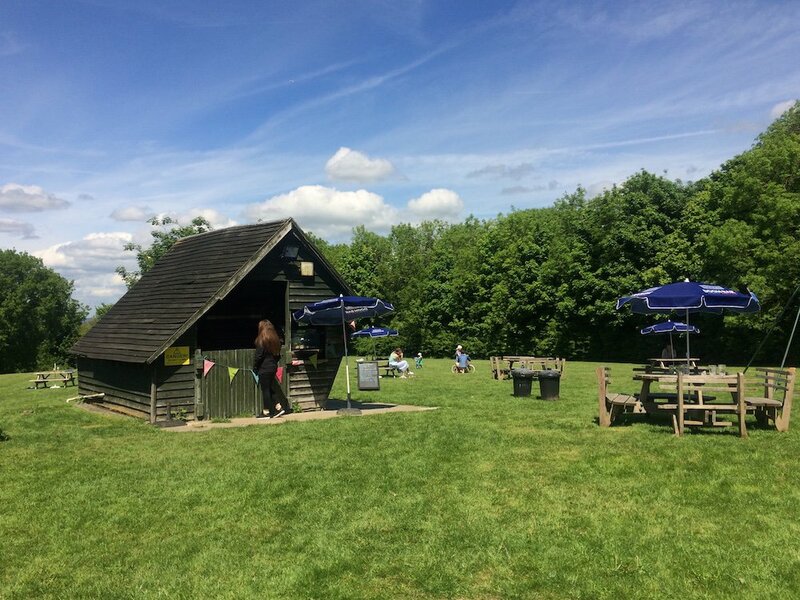 Clay pigeon shoot packages are coming up, the first on 21 Oct.
At the foot of Devil’s Dyke, just north of Brighton, this is a great stop after a bracing walk or spot of kite flying at the top, and has been the end spot for some Chez Muddy bike rides. 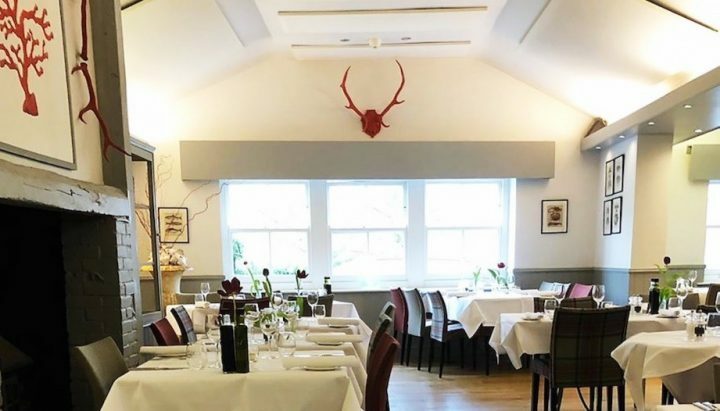 The lower part for the garden is approached over a stream, there’s an outdoor bar and the roasts here look great – but do book ahead for busy days. A summer beer festival with live music, games and a BBQ and 32 international beers is on this bank hol weekend Fri 25 – Mon 28 Aug and an Octoberfest event is coming up on Thurs 5 – Sun 8 Oct. The pub also hosts wedding receptions with space for a marquee that can fit over 100. Another with South Downs views and this one is a whopper. Not that you’d know it when you whizz past it on a bend. There’s a patio area but the main event is the garden/field with tables behind the car park. It has wooden swings and climbing frames, plus tractor tyre sand pits to keep kids amused and lots of space for them to run around at the back. Plenty of dogs about too on my visit. There’s also a snack bar here serving up fare like scotch eggs, tortilla and sausage rolls should you not fancy the full pub lunch. Half Moon also uses the space to host weddings and children’s parties. It’s close to Muddy Awards finalist Blackberry Wood should you be up for a bit of glamping. A city garden this one, just off Church Road in Hove. I was admiring the fairy lights at the entrance when some drinkers urged me to check out the garden and I was glad I did. It’s an fairly substantial Italian-style patio area with a couple of covered snugs and numerous heaters for those iffy summer/autumn nights. Spot the decorated Snowdog bought for charity after last year’s popular art trail through Brighton and Hove and now occupying a lofty perch over proceedings. The garden is popular with parties so some of the big tables may be reserved – unless you get in first. Inside it’s dark and panelled. It’s a self-styled bistro-pub and the nibbles I’ve seen coming from the kitchen look divine, including a whole melted cheese to share. Full meals range up to a £29 Wagyu rump steak. 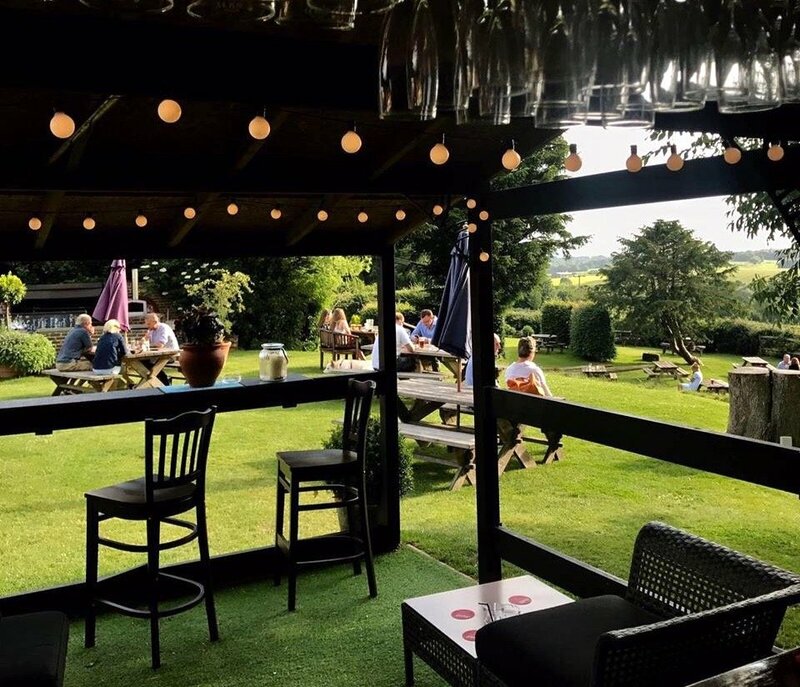 This 16th century pub near Midhurst is perched on top of a hill, so unsurprisingly it’s another with great views, this time looking towards Leith Hill in Surrey. The garden itself has a stream and ponds (one with trout). Tables are arranged on a deck, patio and lawn, there’s even an outdoor fireplace and snug. 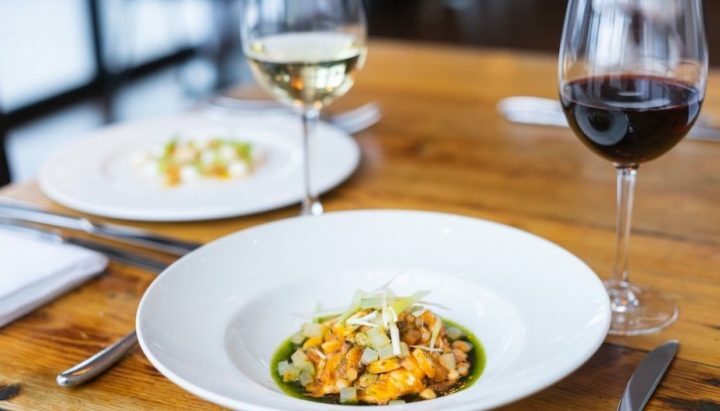 The rotating menu, from an award-winning chef includes high end ingredients like oysters, venison and scallops. With a couple of days notice, tables of four or more can pre-order a roast with a choice of joints of a whole free range chicken (£19.95 per head) for any day of the week. There’s a Caribbean music night coming up on 17 Sept, a game tasting menu on 25 Oct and a firework party on 5 Nov.
It’s not so much the garden itself here that’s the star it’s what it backs onto. The Ouse runs alongside the pub and you can step from the garden into a boat for a row along the river. We took my nephew for a waterborne safari here when he was a baby with him pointing at all the cows. If you’re lucky you may also see a kingfisher. The boating costs £6 an hour for adults, £3 or under-14s, first-come first-served between 10.00am and 6.00pm. Life jackets are provided for children. Book in advance and you can hire a boat all day. The pub also has riverside chalet accommodation and caters for weddings. Yew Tree Inn at Chalvington, near Hailsham lets you camp in its seven acre grounds! You may also catch a cricket match on the premises. You can also camp in bell tents and teepees at Muddy Award winner The White Dog Inn at Ewhurst. The Bull at Henfield has a fab adventure playground (and home cooked pizzas) to keep kids happy. The Cricketers Arms at Berwick boasts a pretty cottage-style garden with flowers and shrubs (a handy pit stop if you’re having a day out at Drusillas). 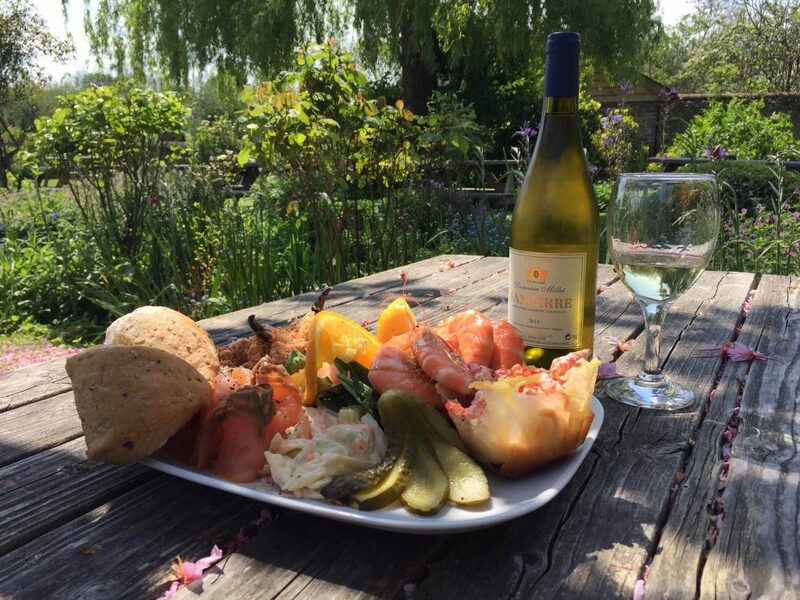 Muddy Awards runner-up The Bull at Ditchling has South Downs views and grows herbs for its restaurant in its garden. 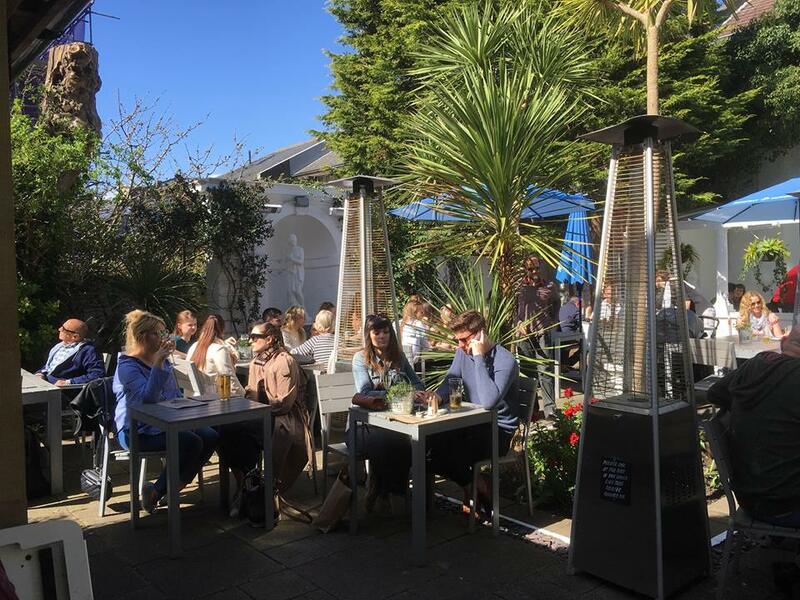 Got your own favourite pub garden? Please share! ‘The Red Lion ‘in Lindfield is an ‘Ember Inn’. A very basic reasonable pub , with a very large garden .Very pleasant staff . Good for a budget visit . Some great suggestions but Sussex is a big county and all the pubs are West Sussex based apart from the White Dog in Ewhurst which gets a mini mention. The White Hart at Netherfield has a great Mediterranean style terrace and garden. 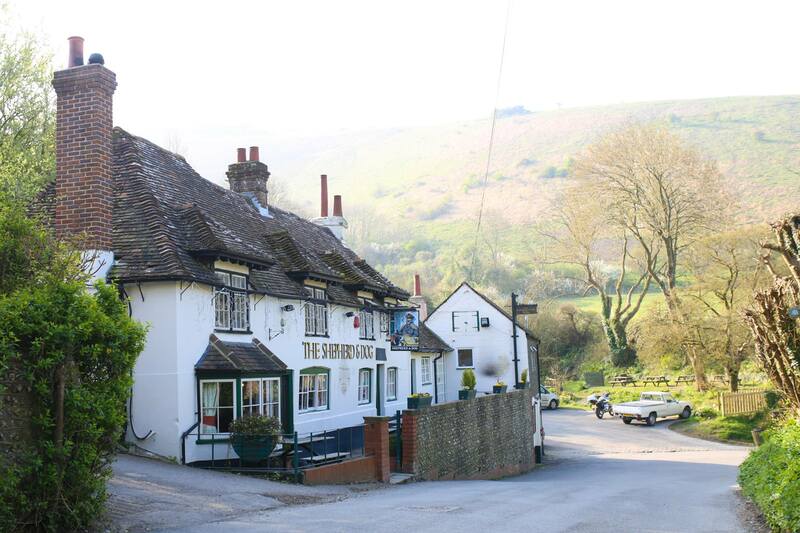 Hi Susannah, actually The Sussex Ox, The Griffin Inn, The Half Moon and the Anchor Inn (with pics) and the Yew Tree Inn and Cricketers Arms (below without pics) are all East Sussex on my map! Admittedly I did several with South Downs views so it would be nice to add some deeper into East Sussex. Good to hear your suggestion! Garden pics on their website look great! You have missed the most spectacular view from a pub unless it was reviewed some time earlier. I mean, of course, The Galipot at Hartfield which also has Sunday Roasts to die for. Thanks David, sounds good, another one for the list! The Coach & Horses, Danehill has a beautiful garden surrounded with flowering trees in spring and lined with colourful flower beds in summer. Year round views to the Downs. Through an opening in the hedge there is a children’s play area with horses grazing in the accompanying pasture. The pub has two bars and an outstanding restaurant. An adult only terrace at the back is also a very pleasant place to have a drink under the shade of a huge oak. Dog and child friendly and surrounded by walks into the Ashdown Forest, this is a perfect country pub destination.